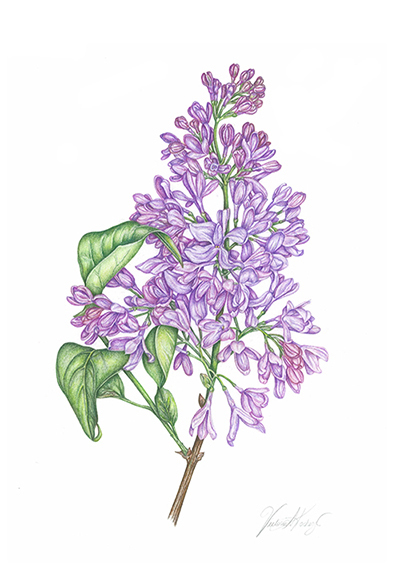 As a botanical artist, I closely study each subject to assure that I capture all its wonderful details. In doing so, I am continually amazed and in awe with the amount of variety, complexity and beauty within the botanical world. While one might first see the beauty in a certain botanical, beneath this beauty, there remain many separate parts. Parts such as the stamen, pistil, and leaves may go unnoticed at first glance, but with a bit more inspection, can lead to great discoveries. As a botanical artist, I feel extremely drawn to find these discoveries. Consequently, from the time I pick my subject, analyze it and draw it, I gain greater knowledge, more admiration and a personal connection with it. It is this experience which I strive to convey in each of my drawings so that others can also discover and experience the many wonders of the botanical world. I graduated from U.C. Berkeley in 1990 with Bachelors in both Fine Arts and English. 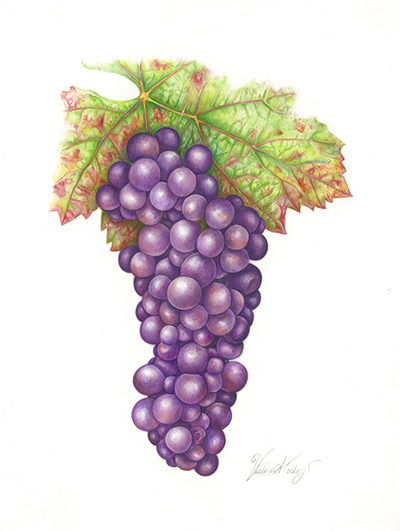 Although I have worked with various mediums and expressions including charcoal, painting, pastels, sculpture, ink, watercolor and lithography, I still find drawing with colored pencil to be the approach and medium of my choice. I feel that the ability to create a telling piece of art, by returning to the basics of a piece of paper and pencil, is a wonderful reflection of the creative spirit within me.